Regie Routman has more than four decades of experience as a national and international leader, teacher, and coach working in diverse schools with large populations of students from low-income families and English language learners. Her current work centers on accelerating student learning through improving teacher and principal effectiveness. She mentors and supports teachers and principals in how to create and sustain effective, efficient, and joyful school cultures where all learners thrive as readers, writers, and thinkers. Routman's experiences as a classroom teacher, Reading Recovery teacher, language arts coach, and staff developer led her to see schoolwide collaboration and high-level, professional learning as a necessity for increasing and sustaining achievement. As a result, Routman created a schoolwide residency model. 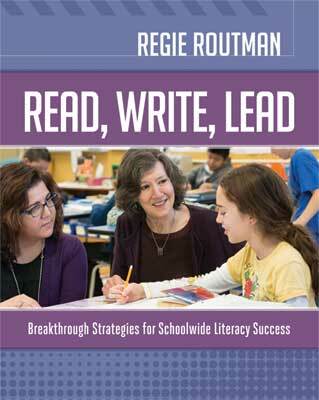 See www.regieroutman.org for more information on her research-based books and resources, blog, professional development offerings, Teacher Recognition Grant, and contact information. Routman lives in Seattle, Washington, with her husband Frank.